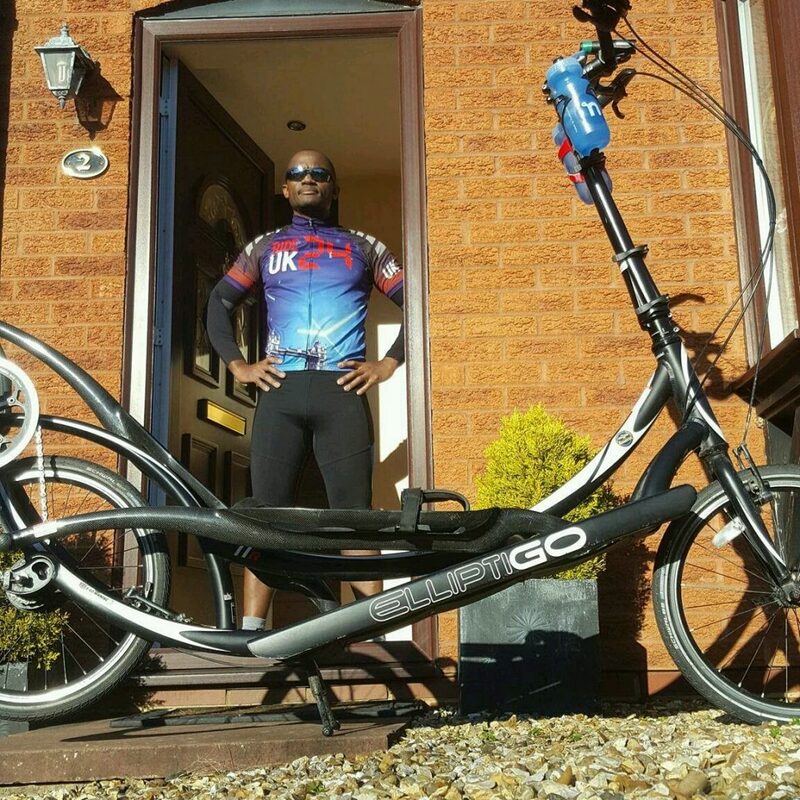 Here are a few of my thoughts in relation to using an ElliptiGO elliptical bike to cross-train for middle-distance and long-distance running. They are based on observations and feedback I have had from numerous runners and also from coaches who use the ElliptiGO as a way to train without impact for running events, in order to avoid (or often to circumvent) training injuries. There is also reference to a relevant independent study. Q. How many miles or how long should I ride the ElliptiGO to match an equivalent running workout? A. If you match your average heart rate in both activities, I’d estimate that 1 hour of running is approximately equivalent to about 1 hour & 15 minutes of riding the ElliptiGO at that same average heart rate. Distance is meaningless, your body really only understands time and effort. The reason I suggest adding 25% to the duration of the ElliptiGO workout, despite the efforts actually being the same, is because of the ‘after burn’ effect of running training. By this I refer to the fact that because running does so much microscopic muscle damage when you train, your body actually uses more calories to repair itself when you run for an hour (compared to when you ride the ElliptiGO for an hour, using the same effort and the same muscle systems). Some of the food you consume is used to repair the damage caused during the exercise – and this damage is much higher after running than it is for similarly intense activities (which use the same muscles without any impact/pounding). Those extra calories mean that a 1:1 comparison between running and training on the ElliptiGO is not accurate. But for fitness purposes only the 1:1 comparison is more accurate, because an hour on the ElliptiGO will do the same for your endurance and cardiovascular fitness as an hour of running (at the same intensity or heart rate). I generally advise runners who replace some of their runs with cross-training (to save their joints, without losing fitness) to do so by adding 50% more training duration on the ElliptiGO (compared to the runs they are replacing). This is because when training impact-free you can actually train more, due to the much lower microscopic tissue damage caused during impact-free muscular activities). So why restrict yourself? One of the main reasons why runners restrict themselves in their training duration (when compared to cyclists or rowers, for instance) is because they simply cannot do the extra trainign without incurring injury. That is why many runners turn to cross-training – to fill the gaps when they simply cannot sustain their goal training volume and intensity without getting injured.